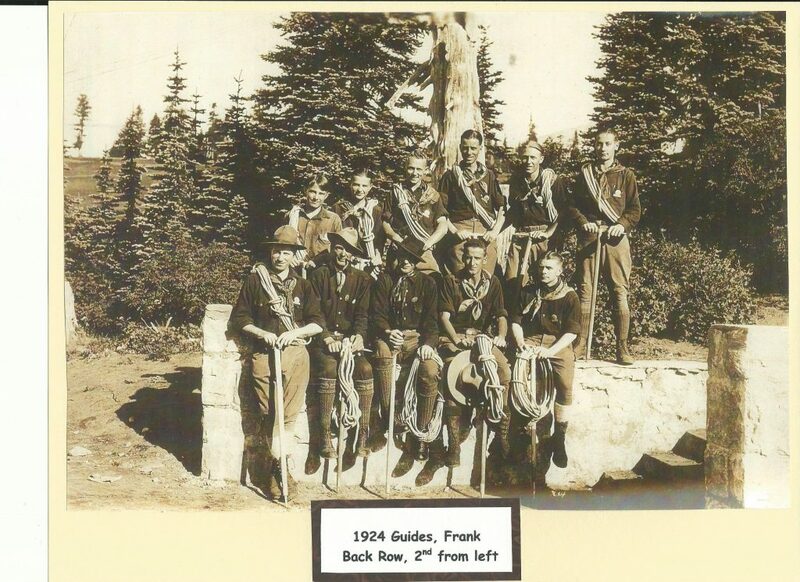 Look at these handsome guides from 1924. 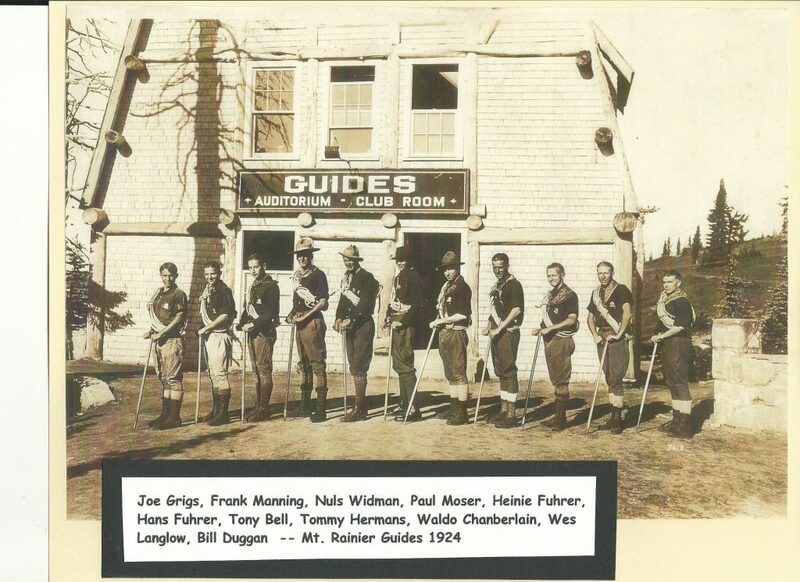 Pictured are (left to right) Joe Grigs, Frank Manning, Nuls Widman, Paul Moser, Heinie Fuhrer, Hans Fuhrer, Tony Bell, Tommy Hermans, Waldo Chamberlain, Wes Langlow and Bill Duggan. Leonard Longmire set himself up as the first “professional” (paid) guide and changed a fee of $1.00 per person for the trip to the top of Camp Muir. Business wasn’t exactly booming, and by 1898 he left the Mountain to search for gold in the Klondike. That didn’t last long, and he soon was back. John Reese employed guides at his “Camp of the Clouds” above Paradise as early as 1903. One of them was Joseph Stampfler, a very popular young guide, who from the age of 14, had lived with the Longmires. As a small boy, he had accompanied the Muir party of 1888. “Little Joe” also operated his guide service out of the tent-camp at Indian Henrys Hunting Ground from the late 1800s until 1914. His younger brother Jules also guided at various times between 1941 and 1918. By 1914, at least four guides were authorized, three to be paid $25 per trip.